It's album No. 27 for Mark E. Smith and his ever-changing roster of musicians, who right now seem to be presenting the band at its most exhilarating and crucialfor some time. 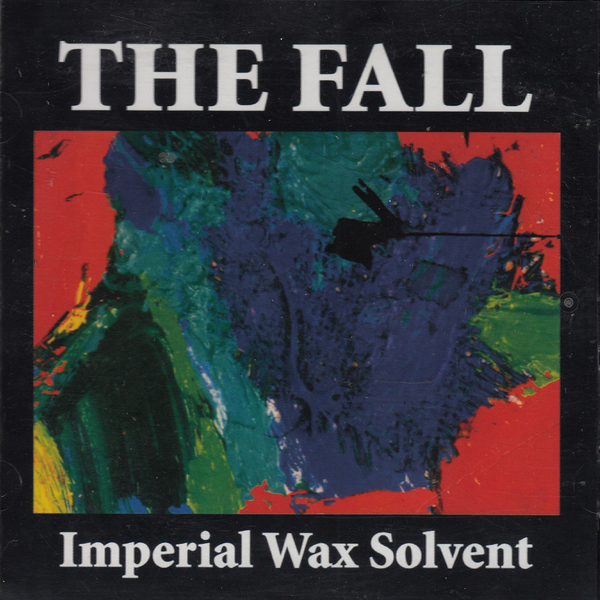 For no apparent reason, around half of the songs on Imperial Wax Solvent are mixed down in mono. There's nothing especially wrong with that though, and it only serves to enhance the old-school roughness of the album's presentation, something that's entirely befitting Smith's venomous, awkward mindset. The defining moment here is probably the eleven-minute epic '50 Year Old Man', which finds our protagonist drawing attention to his age and cantankerousness, but frankly, he's sounded like he's been fifty since the early eighties. Comparing Smith's middle-aged minsdset to that of Nick Cave (also 51 years of age) makes for an interesting exercise. To both it would seem that reaching fifty is a major threshold for an old punk to cross, but where on Dig, Lazarus, Dig!!! Cave talks poetically and humorously about the past, having hinted at sexual insecurities and anxieties on the Grinderman LP, Smith seems content to whine endlessly about Virgin Trains and gleefully talk about his love of urinating on hotel towels. He sounds more like an infirm octogenarian than the '50 Year Old Man' of the title. An Albert Steptoe of new wave. Further compounding the lunacy of the song, part way through there's an inexplicable banjo interlude that sounds like it's from an entirely different record. None of this makes a great deal of sense. Mixing up the formula even more, Andi Toma of Mouse On Mars (and Mark E. Smith side-project Von Sudenfeld) scores himself a production credit, and presumably he's got something to do with the spiky electronica of 'Taurig', which stands out a mile from the muscular punk twang of the record's main thrust. Other highlights (and there are many) include the gnarled bass rumble of 'Senior Twilight Stock Replacer' and the Eleni Poulou-fronted 'I've Been Duped' which brings welcome distraction from Smith's saturnine tendencies. Awesome.